​ According to the international society of hair restoration surgery, most of the men and women successfully found a cure for their hair fall, and every year the success rate has been increasing exponentially. So, don’t get worried about your hair fall. Up to my knowledge, there are so many other ways to treat hair fall like following home remedies or tips, by maintaining structured diet and yoga, If you are willing to follow any one of them, then you may completely get out of this problem within a short span of time and without spending a single buck to the doctors. Hair fall can be cured by undergoing various surgical or nonsurgical operations. These operations result in the better and immediate results in hair growth. But again it’s up to you. If you want to consult a trichologist, But before going to consult your trichologist, please visit our TREATMENTS page. This lets you have a complete knowledge of surgical and non-surgical operations for the successful stimulation of hair. Guys, if you are really interested in finding a solution through an Ayurvedic path, our AYURVEDIC page would be an added advantage. Here we detailed everything about various ayurvedic cures for hair fall. We hope these Ayurvedic methods definitely help you in finding a cure for the cause of hair fall. We strongly believe that there would be multiple reasons that lead the cause of hair fall, so in order to fight with this deadly issue, it needs efforts from your internal body too. Yoga is the only platform available to cure yourself. So, Yoga is an accumulation of various postures, they will help you to fight against all the internal issues that correlate the cause of hair fall. In this context of YOGA, we discussed a few postures where you can find a cure for hair fall, these drives you to begin a healthy life. Harmful chemicals like ammonia and peroxide are capable of opening hair cuticle to undergo the process of oxidation that lightens the natural color of hair and helps in developing a newly added color. 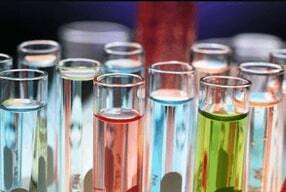 When used in excess these chemicals weakens and damages hair follicles. So we suggest you opt ammonia-peroxide free dyers like henna. 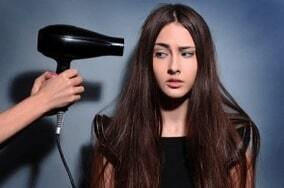 Exposing hair to heat by straighteners, hair iron and blow-dryer makes a harm to your hair follicles. These hair drying accessories are primarily used to dry hair, after having a shower. it totally depends on the frequency we use, Hair drier is manufactured with heat controlling options. So, we suggest you make use of those options like cool mode. Occasionally use warm mode. 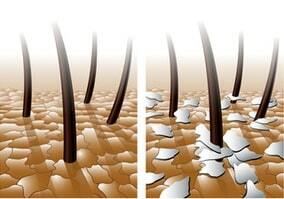 And don’t focus only on the roots of hair follicles just go through the entire hair using cool mode. Using warm or hot options makes your hair to dry and fizzy which is not at all recommended for healthy hair. Trichotillomania is an impulse control disorder, people suffering from trichotillomania are to pull hair, eyebrows, and eyelashes. In these disorder people can’t stop themselves from pulling hair, they get relieved from stress and satisfied when it’s done by pulling hair. Anxiety is one of those negative effects. Anxiety makes you fear a lot leading which overcomes all other emotions. This is accompanied by anger, irritation, worry, and nervousness. This rises hair fall, stress and anxiety must be controlled as they lead to other deadly diseases like chest pain, shortness of breath and panic attacks. ​ it doesn’t lead you to baldness or spots on the scalp. Usually, 90% of hair follicles will be growing and 10% of them will be resting phase this is the natural cycle of hair follicles. This cycle alters due to the change in the level of hormones released during pregnancy. 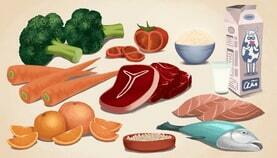 It also happens due to deficiency of minerals and vitamins. Hair fall continuously during and post pregnancy. It can be completely treated within 3-4 months of post-pregnancy as your hormones will be regularized in a body, these results in healthy hair growth. Hereditary baldness is a natural condition caused due to the combination of genetics, hormone levels, and the aging process. According to the survey, about 40% of the youth is suffering from hereditary baldness, in this case, hair fall starts at the age of 20-30 years. 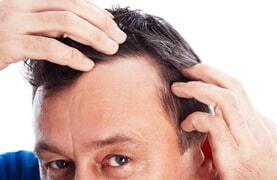 This condition is called male pattern baldness. Diseases like thyroid and cancer have various side effects. Hair fall is one among them, generally hair follicles follows a natural cycle, when some hair follicles are in resting phase some of the hair follicles starts to grow, due to changes in hormones life cycle of hair follicle gets disturbed, these results in fewer hair follicles will be in growing phase and majority of them will be in resting phase. This results in excess hair fall, thinning hair and balding. 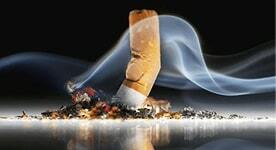 Smoking cigarette triggers you to intake thousands of chemicals most of them are toxic. These toxins adversely affect the general circulation which results in impaired blood flow in hair follicles. Totally there are five layers of scalp these layers need oxygen, proteins, vitamins, and nutrients for nourishing hair. hair-fall.com is a beauty community blog, which deals with the branch of trichology, we strive to spread the awareness on hair fall, and eradicate myths that surrounds your head through our blogs, so do follow our website to stimulate hair growth and enhance your knowledge on hair. The contents of this website are for informational purposes only and not intended to be a substitute for medical advice, diagnosis, or treatment. Always seek the advice of your physician, dermatologist or other doctors before following any tips or advice you have read.